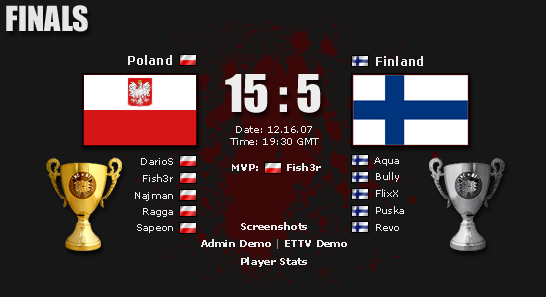 With 50 matches over the span of 73 days, 22 teams and 160 players battled to become the best nation in TeamTerminator's Nations Cup tournament. 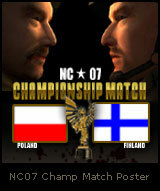 Nations Cup 2007 (NC07) officially began on October 4, 2007 - after 2 months of planning. Because the community was anxiously awaiting an elusive release of TCE, it was decided to organize a first official community wide tournament to keep the players engaged (and to have some fun!). The "prize" of the tournament was the claim of being the best nation in all of TCE (bragging rights) and to play an exhibition match against the creaters of TCE, TeamTerminator. 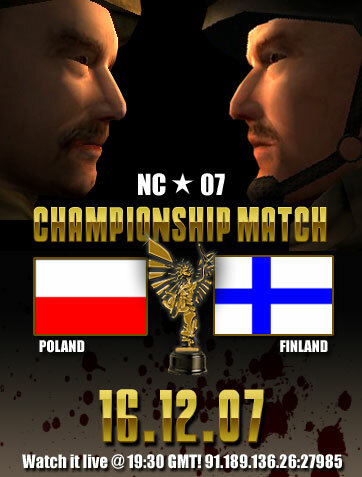 This was the 2nd of 3 Nations Cup in TrueCombat history (the first in TCE). Below is the complete roster of all NC07 teams. Divisions & Groups can be found on the Round Ranking section. Based on player stats in rounds 1 & 2 - here are the best and worst of NC. Thanks to Seero for these.